Paul Vastola has made an unmistakable mark on the recording industry in Denver and Colorado’s front range, dating black to the 1970’s. His Colorado recording career began when he brought one of the very first Moog synthesizers to the Denver recording scene. He has been the owner and operator of Rocky Mountain Recorders, Colorado's premier sound studios for 26 years. That studio complex houses 4 complete studios and has defined the cutting edge of recording technology and horsepower from 1989 to this day. Over those years, Rocky Mountain Recorders has hosted world class artists including: Sheryl Crow, David Foster, Faith Hill, Rhianna, Nathaniel Rateliff, Snoop Dogg, Eminem, Dianne Reeves, Herbie Mann and many of the Rocky Mountain region’s top artists and media firms. Like Rocky Mountain Recorders, Southern View Sound and Music’s recording and editing platform is the world standard Avid Pro Tools HD and Paul is an expert with over 20 years experience using Pro Tools software. Paul and Southern View Sound continue to maintain a working relationship with RMR for large format projects. His skills are legendary, recording and producing virtually any kind of audio project. He enjoys working with artists wishing to improve the quality of their songs and recordings. 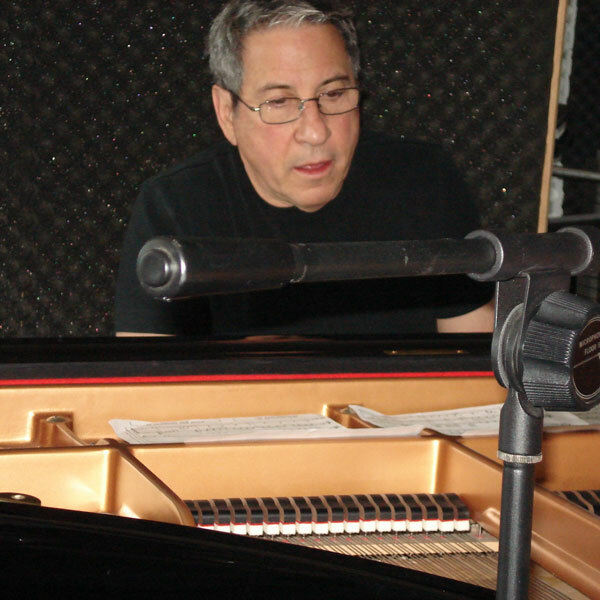 He is a devotee of the acoustic grand piano with many solo piano records to his credit. The SVS&M studio features an impeccable 7’6” Yamaha C-7 conservatory grand along with a fine collection of acoustic and electric guitars and amplifiers. He can work with you to develop musical ideas from scratch, or help you complete songs you have in process, from pre-production to recording and mixing through mastering. Additionally, he can record solo artists to complete ensembles on location in 24 track digital and complete your project in digital formats or in analog, mixing to a vintage Ampex tape recorder. Record at SVS&M’s personal studio, a live venue, or at your own home, wherever you are most comfortable. Years of professional recording studio ownership have provided Paul with a broad collection of superb gear including classic microphones from Germany, Austria, America and Japan. Southern View Sound and Music can also provide complete sound systems for small to medium locations for any kind of performance or presentation. Paul is fluent in home studio setups, having been a pioneer in home studio spaces from the analog days through today's software based digital systems. So if you are looking to set up and operate your own home studio, he’s the guy to get you going. SVS can also transfer archival recordings from all formats of 1/4" tape, DAT, cassette and ½” video tape formats to CD or DVD.